SBEP ..... congratulations. That is a very rare but very welcome sight to be seen here at the mob calendar! I hope that you will soon be able to withdraw this prize and use it productively in a tournament to make even more money from it. Well done to BRM for making this place so graeat with such great prizes. It’ll soon be time for the Christmas calendar! Sooooo excited. 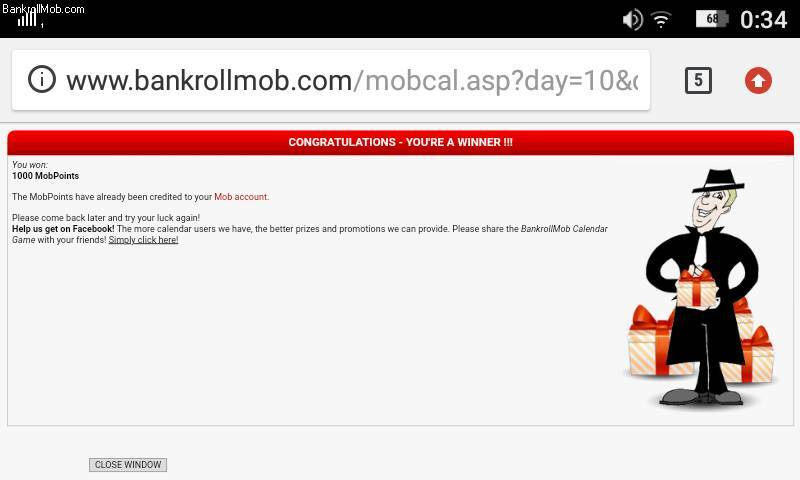 Huge congratulations must go out to our fellow mobster SBEP on winning 1,000 MobPoints from the daily Mob Calendar! What a pleasant surprise! Wishing good luck continues to follow you all through your life. Good luck to all mobsters playing the Mob Games! Yes indeed, it is a welcoming site whenever I lay my eyes upon that thou pointer under a calendar door... Great winning, congrats! SBEP.... a very nice double there my friend. Bizarrely enough I had a similar occurrence today when right next to a sorry you didn’t win I got another sorry you didn’t win! Now that makes me feel much better that your double isn’t so random after all and it could happen to any one of us at any time. Keep opening those windows!!!!!!!! 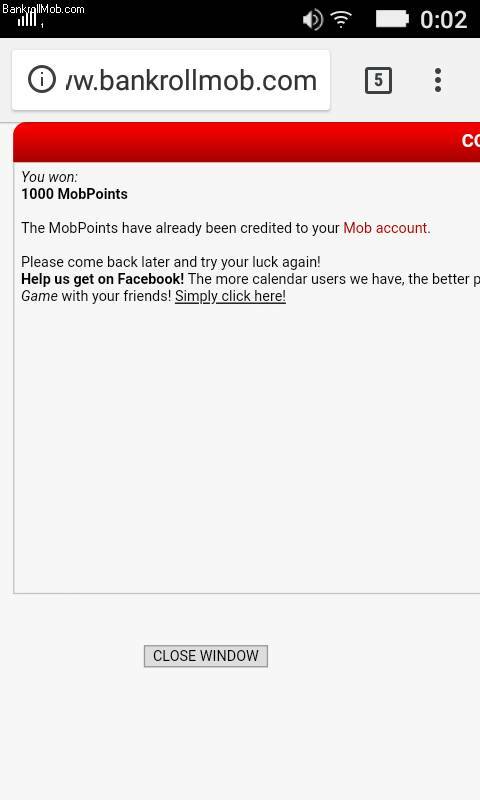 Massive well done to SBEP on winning 1,000 MobPoints (US$10) once again! You have been having a long streak of good luck and it seems everything is going right. Christmas came earlier this year for you. Wishing you all the best for your next mind-blowing endeavors. Dude you made more points within a week than opening throughout the whole year, nice job my man! Very difficult to get the thousand pointers twice in the same year let alone in the same month, congrats.